Surrender is not a sign of losing. In fact, surrender is the most liberating path to winning. This is a classic story: After 8 years of marriage, a woman finds out that her husband has been cheating on her, with a co-worker, who she also knows. Not only that, she also receives verbal abuse; and financial insecurity puts her life into comma — she can’t even buy the medicine her doctor prescribed her. Even worse, her stress finally manifests into physical pain and her husband left her with the children she has to raise by herself. She is sad, furious and vengeful towards her husband and towards life! You may or you may not be married yet and you are healthy. That’s good. But, most probably, your heart has been broken in the past. And you know, when your heart is broken, your world collapses. Everyone tells you to SURRENDER. But you’re too angry to do so and by surrendering, you will have to let go the control you have towards the other person who you think have hurt you. But, they are telling the truth, you need to surrender. 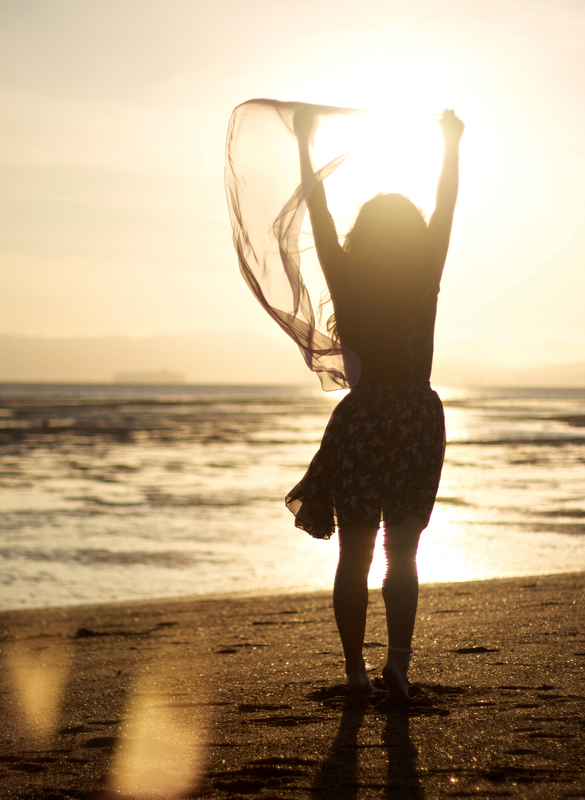 There are 3 ultimate reasons why surrender will be your most liberating way of winning. 1. When you surrender, you start to accept things as they are. And acceptance is the key to healing. Surrender is just like when you sigh and say, “I’ve had enough. It doesn’t matter now.. I surrender.” When you surrender, you open the door of acceptance. You accept that what you have gone through is painful and that reality is bitter. You know it and you accept it as a part of yourself and your life. The wonderful thing is, as you start to accept, you receive the key to your own recovery. To be truly healed. Don’t be surprised if you feel so much lighter afterwards. When we surrender, we automatically let go of our control towards others. We no longer need to expect others or situations to go as we wish. Suffering arises because we have too many desires and expectations. When others do not live by our standard or style, we consider them to be wrong and we want to correct them. If we stop putting hopes and expectations, we won’t easily get irritated and life will be so much happier. When we put down all our sadness, fears and disappointment, and say, “I let go of everything. I surrender myself to God/ the Universe/ …”, we allow the Universe to support us and sustain us. We realize that Universal law is at work, we remember that there is this great power in the Universe and we are part of it. Because we are part of the Most Forgiving God, we too can forgive. Because we are part of the Most Loving God, we too can love, unconditionally. And soon we’ll realize that there is a lesson behind every painful experience. God teaches us lessons through people and situations happened in our lives. 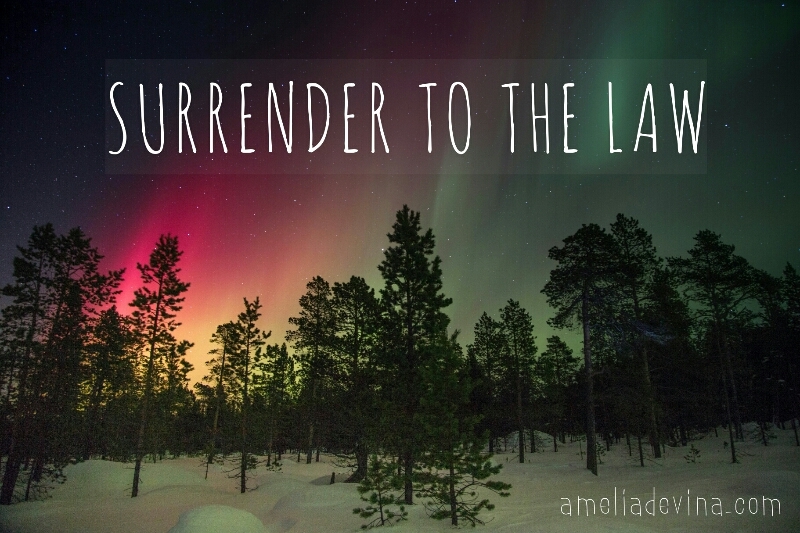 Learning on how to surrender is no stranger to me. Few years ago, I knew exactly how it felt to be neglected, lied to and betrayed. In just seconds, my world turned upside down. Truth turned into lies. I felt so stupid and disappointed, also towards myself. My heartache eventually caused me to be physically sick. At that time, a good friend of mine sent me a message with a quote: SURRENDER TO THE LAW. Then, this became my mantra! And this mantra works like magic! When we surrender to Universal laws, we know that not everything is within our control. There are things that are meant to happen. And whatever happens, everything is perfect in its way. When we have gone through the struggle and finally learned the lessons, we go to the next level and we are getting closer towards our true self. Surrender truly is the most liberating way to winning. When you let go and surrender, you are free! 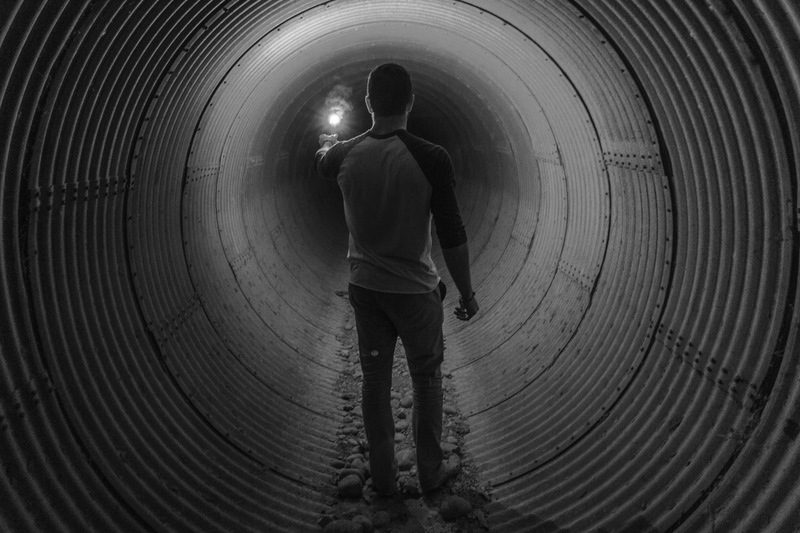 Are you buried in your past and want to break free? Are you hoping to find guidance to apply all these three points in your life? Remember, it is not that hard and you don’t have to go through this alone. I know how you feel and you can let me help you to help yourself. Through Intuitive Counseling sessions, I will hold your hand step by step towards total healing. You can experience benefits in all areas of your life, romance is just one bit of it. Now, it’s your turn to share your thoughts. Which 1 of these 3 points leaves the biggest impression to you? Do you have a personal story you want to share? Tell us more in the discussion page. Next, please share this article to your family and friends. People always love a little bit of inspiring story now and then. Thank you so much for reading, contacting me and sharing. Read and say the mantra with me: SURRENDER TO THE LAW.